Spirit Airlines has just announced that they’ll become the first ultra low cost carrier in the Americas to offer inflight wifi. I’m really excited about this development, as I’ll explain in more detail below. Spirit says that their wifi will start with an average price of $6.50, though the cost will range based on the route and demand. It’s fantastic to see an ultra low cost carrier investing in inflight wifi. Installing inflight wifi isn’t cheap, and typically we don’t see it installed on ultra low cost carriers because the ROI is more limited — passengers who are more price sensitive are less likely to pay for wifi. Personally I’m really excited about this. 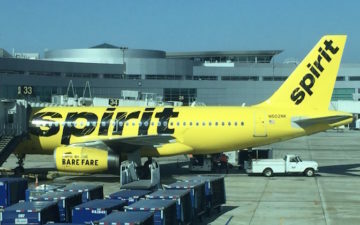 Spirit is the one ultra low cost carrier in the US that I’ll gladly fly. That’s because they offer the “Big Front Seat,” which is essentially a domestic first class seat with no service (and as far as I’m concerned the most important thing about first class is the extra space). With the major US carriers having introduced basic economy, Spirit Airlines is such a good value nowadays. 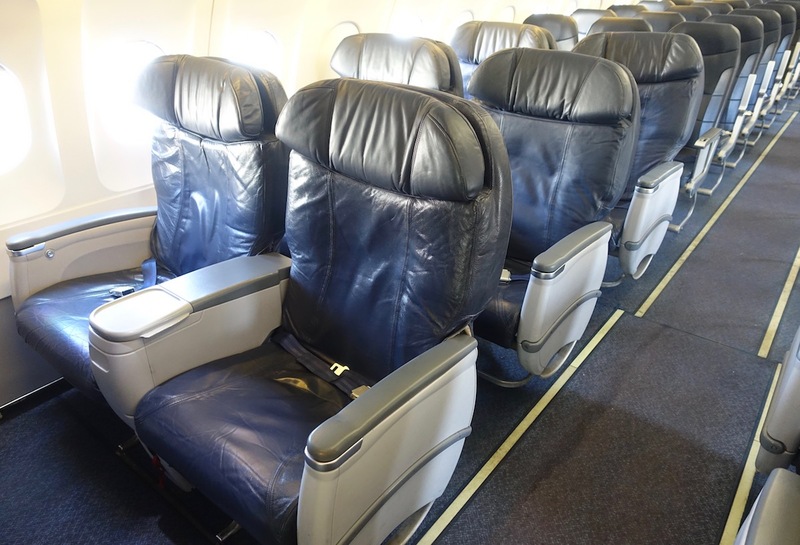 In many cases you can book a “Big Front Seat” with a free carry-on (which comes with priority boarding) for the same price as a regular economy ticket on another airline, and you don’t have to play upgrade roulette. The one thing that has generally caused me to hesitate flying with Spirit Airlines is their lack of a wifi. It’s not a total deal-breaker, but I like to work when flying, and there’s certainly some lost productivity when not being able to get online while in the air. Now that Spirit Airlines is adding wifi to their fleet, I can see myself flying them a lot more. Do note that Spirit Airlines doesn’t offer power ports, though, so you’ll want to make sure you board with your electronics fully charged. Does Spirit Airlines adding wifi impact whether or not you’d fly with them? Holy crap. With TSA Precheck and inflight wifi this might be a game changer, particularly for day trips and short travel where a full sized carry on is not needed. Now we’ll get to see fights streamed live as they happen and won’t have to wait until the plane lands. Interesting, but I think wi-fi is mostly a business traveler thing and, as we all know, Spirit doesn’t really cater to business travelers. They’re mostly a non-interlining one-flight-a-day carrier, and so in the case of irregular ops, you’re really screwed. On the other hand, the $6.50 price point might attract leisure travelers. I pay for Spirit’s coffee, after all, and I’d probably pay for wi-fi, too. South west should offer 4 across seats for 1.5x 6 across seats. Silly they don’t. Further discount airlines will sell WiFi like crazy if priced reasonably. $12 a day or $2 an hour will crush it. from the overly enthusiastic tone and detailed discussion of the model numbers of the underlying tech that doesn’t matter to the customer one bit, i can’t tell whether someone who routinely flies CX F is genuinely interested in NK …. @ henry LAX — C’mon, it would be illegal for me not to disclose that. Please don’t throw around an accusation like that so lightly. I’ve flown Spirit, I’ve found the experience to be pleasant, and I’d fly them again in a heartbeat. I even recently wrote about how I was considering booking my dad on them. @lucky don’t worry, henry seems to be having a bad day by the looks of things. Spirit’s Big Front Seat doesn’t recline! I love technical details they provide. Ka-band, SES-17, etc. But I’d like them to state bandwidth info as well. Also the current satellites they use. Anyway it is a big improvement. Just as long as it’s not the last flight of the day in Spirit, with the addition of Wi-Fi, I can see myself flying them if only taking a carry-on bag. They’re going into a race with other carriers where the customers will take whatever is cheapest. Lucky,I commend you for taking a positive tone with ULCCs and not stereotyping them as only airlines that “peasants” fly as I feel like many commenters do on this blog, along with others, do. I don’t believe a carry on is free with a big front seat. At least I paid for mine. And thanks for that big front seat review, that’s why I was willing to fly spirit! Great news. Believe it or not I am similar to you. I can do without the domestic F service but give me two abrest seating for the wife and I & add wifi and you have a winner. This will definitely encourage me to fly them on the few routes they operate. People are snobs about LCCs, and yet we see more and more business travelers actually fly them, either thanks to convenient schedules and routings, or due to corporate cost-cutting in travel budgets. I’ve flown with a group of Dutch businessmen on Wizzair, all seated in extra legroom seats, simply because the route and timing made sense for them. We’ve also seen the likes of Easyjet and Ryanair specifically target business travel with flexible tickets and more options, and it seems to work. No wonder, when legacies have completely dropped the ball. LCCs like Norwegian or Flydubai go as far as to surpass the legacies in terms of comfort and service in some areas. It’s a matter of time until this trend crosses the Atlantic. This is great news. And every passenger receives upon boarding an AOL internet CD ROM so they can access the Spirit internet free for the first 30 days. A carry on is free… Everybody is allowed a carry on (size of a backpack) and a personal item for free… Check your luggage and pay online, not at the gate. It saves you $10-20. If you wait until you’re boarding thinking you won’t be charged, that’s when it’s most expensive. But all this info is on the website that nobody reads when buying a ticket. They would rather complain that spirit just likes to nickle and dime. And big front seats do recline. Next time ask a flight attendant where the button is. Thailand-based ULCC Nok Air offers *free* wifi to all passengers and their fares are consistently easy to get under 20 USD OW. Beat that! When was the last time you tried Big Front Seat? 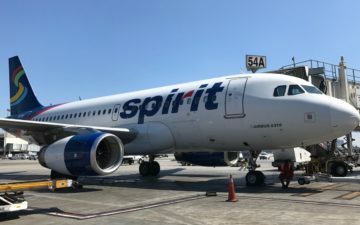 Spirit started to retrofit all Big Front Seats to not recline sometime in late 2017. I had the unfortunate experience of trying Big Front Seats a couple of times (in Feb and Apr 2018), and seats did not recline. Several people commented that the Big Front Seat did not recline, or does not recline any longer. 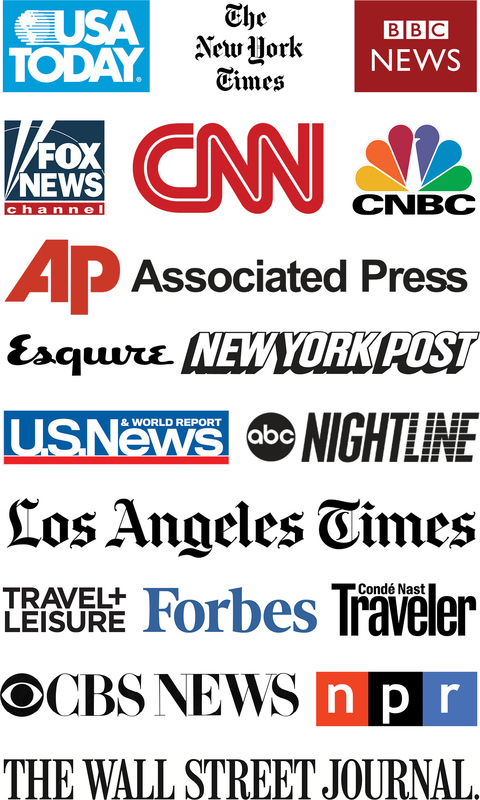 It seems comments that do not reinforce the writer’s judgment are ignored by the writer.